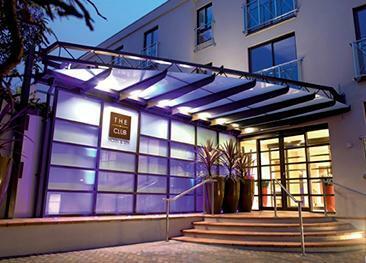 Grand Jersey Hotel & Spa is the only 5 star hotel in St Helier. The hotel offers fantastic sea views over St Aubin’s bay and Elizabeth castle, an award winning spa and four AA Rosette restaurant. All rooms are air conditioned and suites are equipped with the latest technology. The hotel has extensive facilities for business guests as well as holidaymakers, with a private dining room and a bespoke cinema for hire. Queen Elizabeth II lunched at Grand Jersey in 2005 to commemorate the 60th anniversary of the Liberation of the Channel Islands. Choice of Single, Classic Inland, Deluxe Park View and Sea View rooms – double or twins..
Executive Sea View accommodation offers a separate living space for up to 2 adults & 2 children. Suites all offer sea views and a separate living room. All rooms are equipped with task lighting, LCD television, air conditioning and luxurious toiletries. Four AA Rosettes. Expect exquisite gourmet fine dining with a decadent Jersey twist! Afternoon cream teas, light meals including breakfasts, and a large selection of Champagne and wines. Available all day surrounded by glamorous décor. The hotel’s main restaurant offers a varied selection of freshly cooked dishes with locally sourced products and an informal yet chic brasserie atmosphere. Open 7 days a week for dinner. Designed for ultimate outdoor luxury comfort. Perfect for a coffee or a glass of wine with a view. Bespoke menus can be created and served in a private dining room. Experience the ultimate pampering at the Spa at Grand Jersey choosing from an extensive list of treatments. Individual and double treatment rooms are available as well as a heated indoor pool, sauna, Jacuzzi, steam room and sensory shower. The Spa at Grand Jersey was awarded UK Residential Spa of the Year in the Professional Beauty Awards twice and is now offering the Elemis product range. An accessibility lift has been installed at the front of the hotel allowing easy access to the hotel main reception. 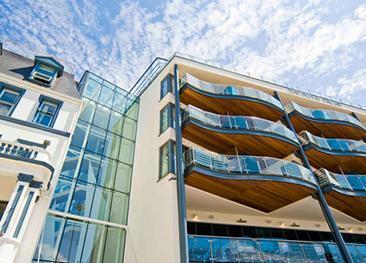 Lifts provide access to the accommodation on all floors and the hotel has 2 full disabled rooms. Some parking spaces are available in the hotel car park and the hotel provides valet parking. The package was quite expensive for a 4 night stay. Excellent service from the initial phone call to receiving my travel documents. 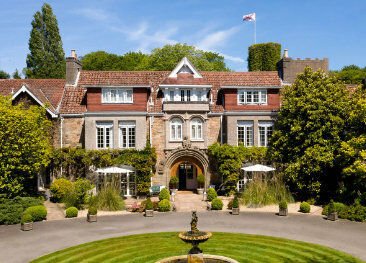 Privately owned, Longueville Manor is the Channel Island’s only Relais & Chateaux hotel and AA 5 Red Star hotel.